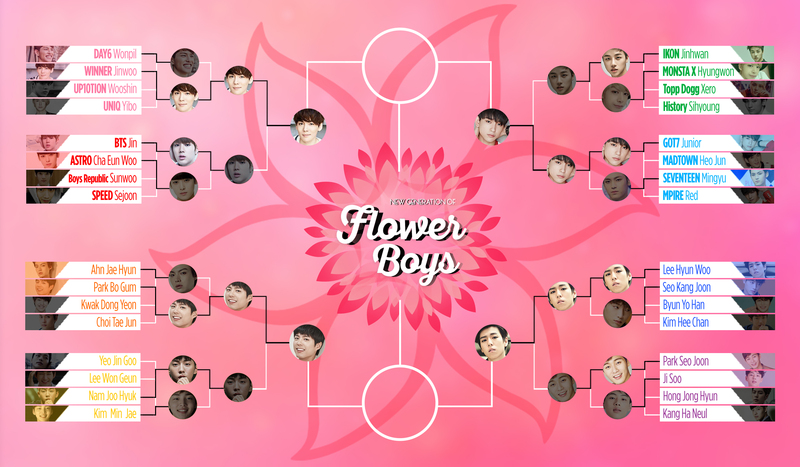 We are almost at the end of our New Generation Flower Boy tournament! In this round, WINNER‘s Jinwoo and GOT7‘s Junior go head-to-head to be crowned the top idol flower boy. Previously, Jinwoo very narrowly overtook BTS‘s Jin, while Junior had a convincing lead over iKON‘s Jinhwan. From the actors side of the bracket, we have Park Bo Gum going up against Lee Hyun Woo. Park Bo Gum won over Nam Joo Hyuk to advance to the semi-finals while Lee Hyun Woo defeated Park Seo Joon. Just like in the past rounds, you can vote every 12 hours. Voting will close on March 31 at 12:00 p.m. PST. Having a hard time deciding? We included short videos for each this time. Feel free to share more pictures and videos in the comments!